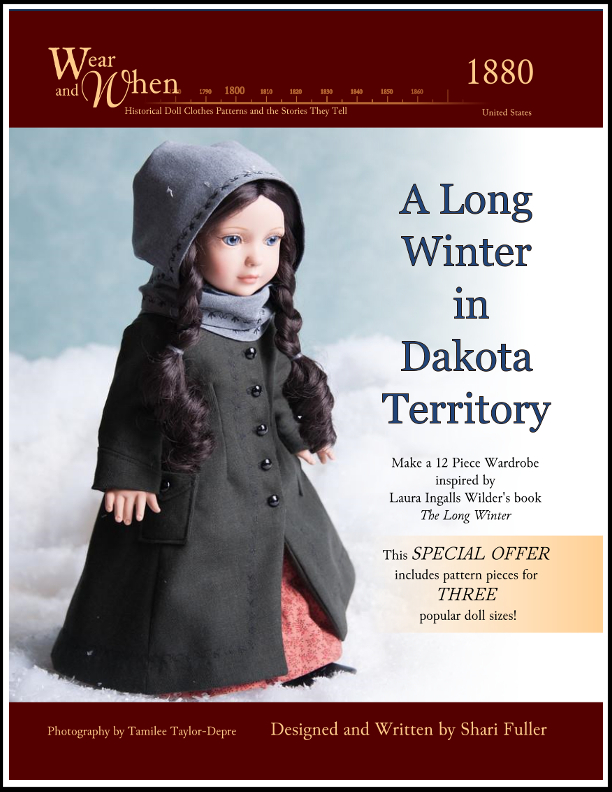 Brave the winter in this Laura Ingalls Wilder inspired Union Suit. 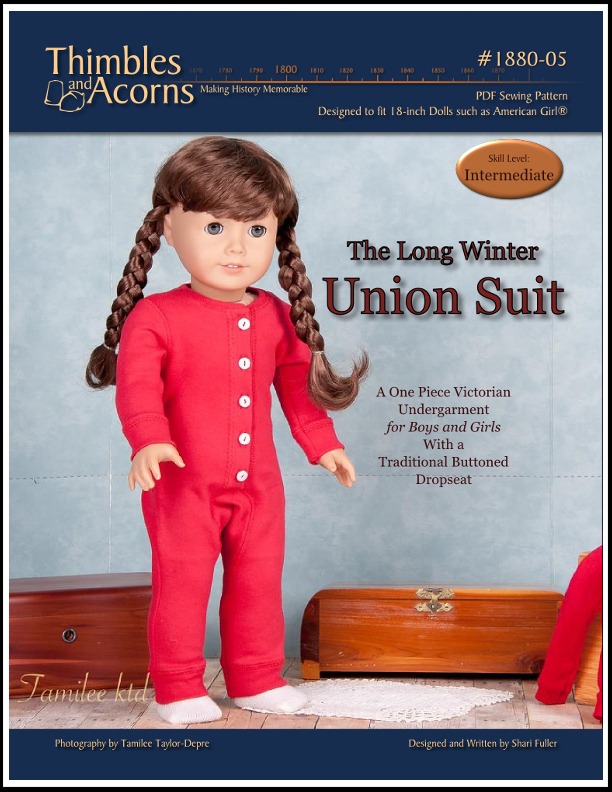 Union suits first came on the market as part of the rational dress movement for women in 1868. Originally called the “Emancipation Under-Flannel” it was designed as an alternative to restricting corsets. Their practical design soon made them popular among men as well. This one piece undergarment is based on the traditional design that is still popular today and can be made for either boys or girls. It fastens in the front with five buttons and features a functional dropseat that closes with four. For those that have experience making buttonholes, it is a quick and easy pattern to make. For those that want to learn to make buttonholes, this is a great pattern to develop your skills! Discover The History Behind this Design!